Nose tackle who made his NFL debut in 2003 for the Baltimore Ravens. He played college football at the University of Tennessee and was selected in the 5th round of the 2003 NFL Draft. After playing for only two teams in his first eight NFL seasons, he played for three teams in his next three seasons. He was born in Johnson City, Tennessee. 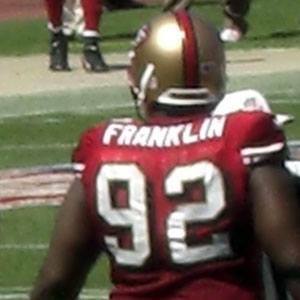 In San Francisco he played on a strong defensive line next to Justin Smith.